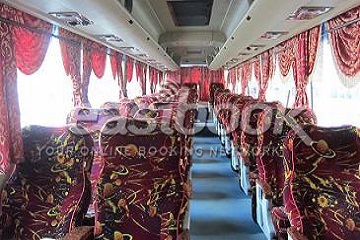 S&S International (M) Express is a famous express bus company in Malaysia. The company is operating in almost all the cities in the west coast of Peninsular Malaysia. As part of the company expansion plan, S&S International Express has appointed Golden Coach Express & Tour Pte Ltd to be the company sole agent in Singapore. The company is venturing into the highly competitive Singapore to Malacca market. 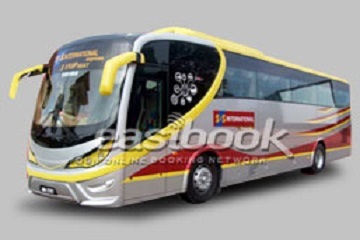 Currently the company is operating 3 daily departure for buses from Singapore to Malacca (and return coming soon). The coach will depart from Key Point, which is within 5 minutes walking distance to Nicoll Highway MRT Station (MRT Circle Line) and provide non-stop direct trip to Melaka Sentral via Tuas Second Link. S&S International Express is currently operating the Super VIP 29 seater bus for the Singapore to Malacca bus service. BT 48, Terminal Larkin, (Iskandar Malaysia) Johor Bharu.